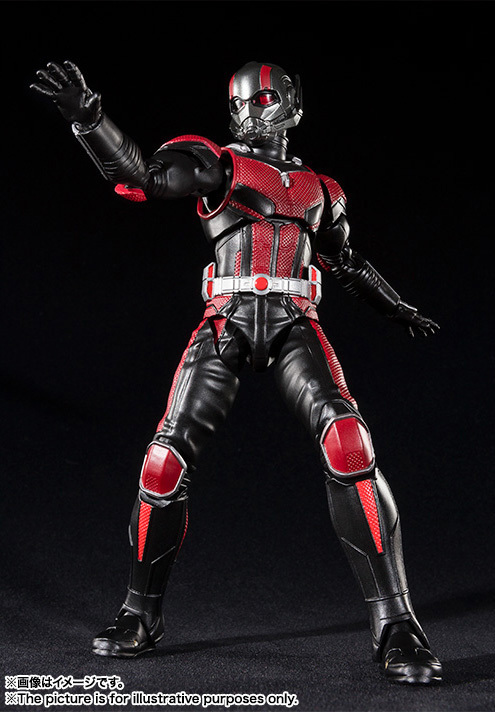 Tamashii Nations has released official photos of their new S.H. 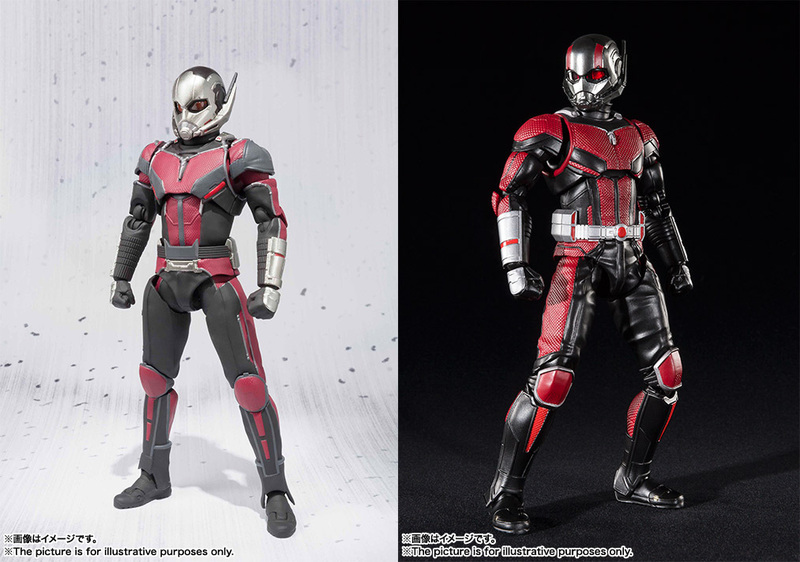 Figuarts Ant-Man. 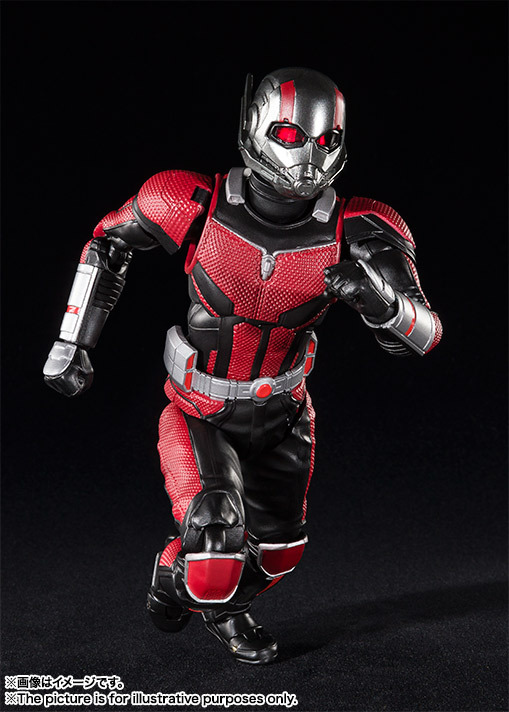 This new figure is based on his appearance in the upcoming film, Ant-Man and the Wasp. The figure features his all-new suit design and, right now, looks to include an assortment of interchangeable hands. The photos highlight soem of the new articulation styling being used on the figure, for even more dynamic posing. The figure is due for release in August. Pre-orders have not been made available yet. No word on additional accessories or pricing at this time. Look for an update with those details soon. See the new photos after the jump. Doesn't look too different than the Civil War release from a few years back, but this one is a bit more vibrant, pops a bit more. Guess I'll have to get this one as well. I think it looks way different and way better too. 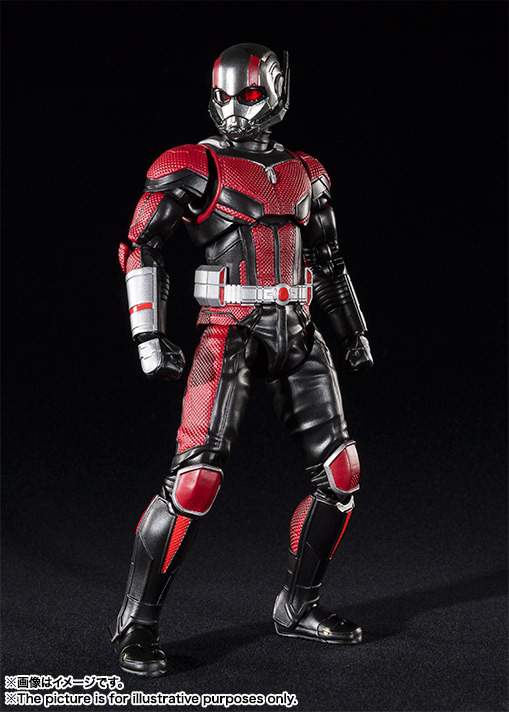 The new one looks pretty dope, better proportions overall, the glossy black parts of the suit rock and the helmet looks awesome. It might also just be that I didn't care much for the Civil War-design but this is a much better looking figure IMO. 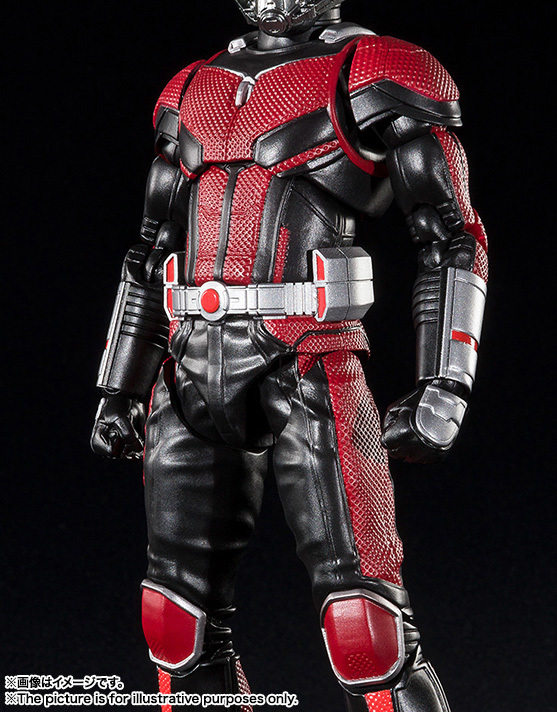 I hope they include a tiny Ant-Man figure again, loved that about the last one, and I really hope they make a Wasp that looks as badass as this Ant-Man! Ye, this is definitely an upgrade; but still no unmasked head?! Come on SHF! Give us a reason to ditch Marvel Legends for good. Ya I don�t get the no unmasked head either would rather have that. 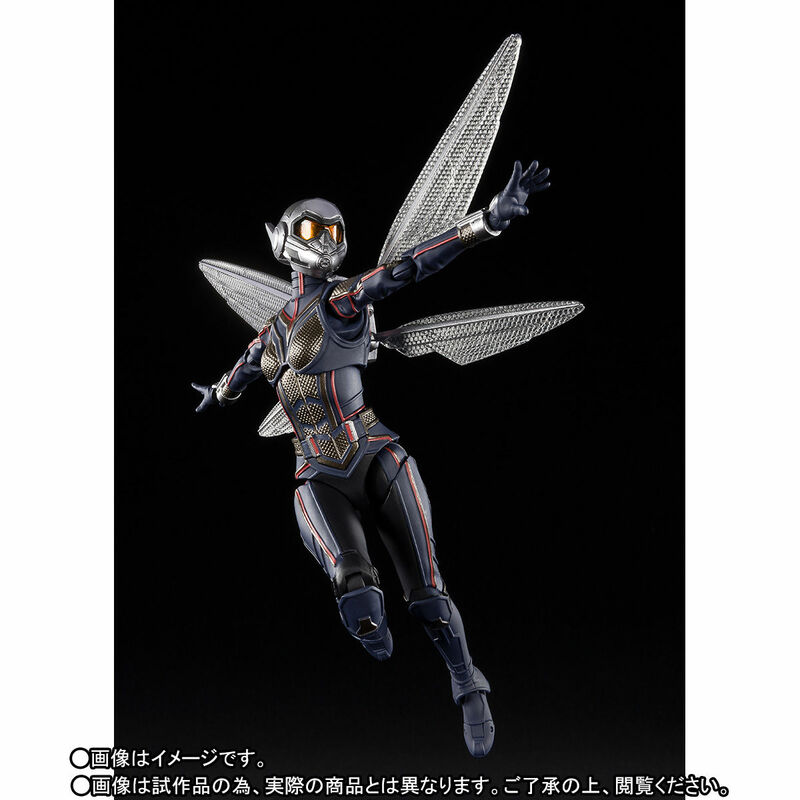 Hoping for a decent Wasp to come out that portrays her face real good. Not sure the Marvel Legends does that can�t really tell with the recent pics of her. 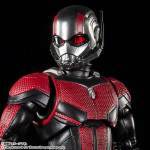 The unmasked head that comes with the new Marvel Legends of Ant Man looks good though. It would need a separate licensing deal/agreement made past just using the costume. (in most cases, unless the rights were already sold). I think it blows my/the Civil War version away it looks thicker too. Like he put on muscle. I like this new version! 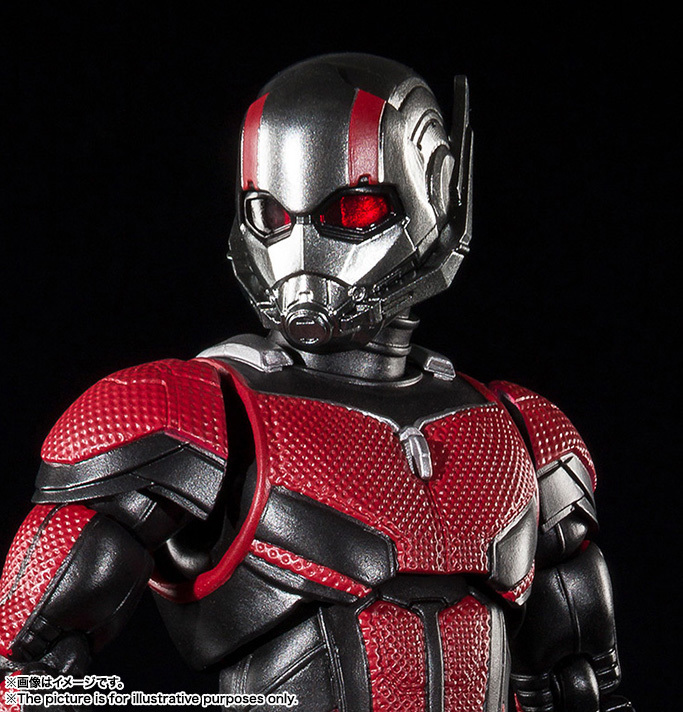 I hope they will release a Wasp one aswell and that both would freature unmasked heads. Almost all actor likeness rights are sold along with the movie, they don't have to contract for every single actor individually. Disney's license gives them the rights. 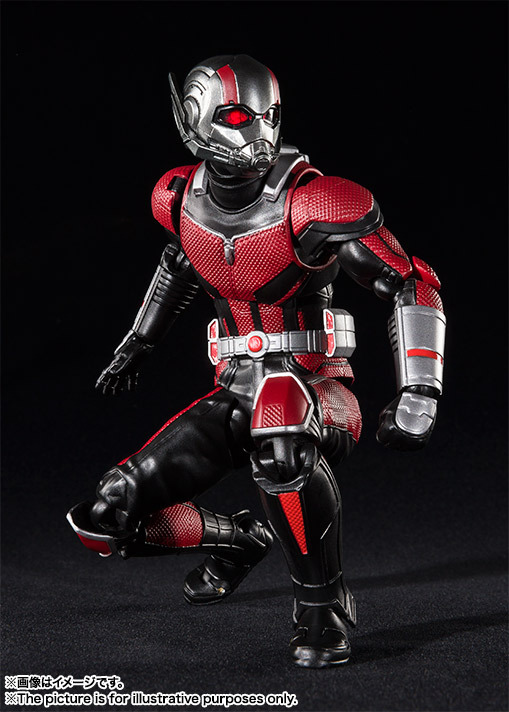 The US Release is going to come with a giant ant for him to ride on. Correct. The likeness issue is usually a problem with older franchises, as merchandising for collectibles wasn't really a thing and/or those rights expired. Most modern films, especially blockbusters, will have those clauses built in. The winged ant with saddle was unexpected. I just pre-ordered this off BBTS. Too cool to pass up. And tho the costume hasn't changed a lot, there are enough differences for me to warrant purchasing this. At first I didn't think they looked that different, this and the CW version, but this has much more texture, and brighter colors. Yeah I had no interest before seeing the Ant. I know the suits are totally different molds but weren't different aesthetically enough for me to buy without the Paul Rudd head. BUT the giant ant for him to ride is cool. I'm hoping it's articulated. I would've like to have seen a pic with him on the ant.